The LSAT is a remarkably challenging test, in large part because it measures both intricate conceptual understanding, as well as application of that understanding under rigorous time pressure. Put another way: The LSAT is an exam which tests a particular skill set, but it is also a test of efficiency. When most people begin preparing for the LSAT, the focus is on establishing that fundamental grasp of concepts, with much less concern given to speed. You have to understand what is being tested, how to recognize the consistent elements, and the proper method of response before you can begin to work through sections at the optimal rate. With that in mind, however, people preparing for the upcoming October LSAT should be reaching a point where the focus begins to shift, moving from establishing a conceptual grasp of the test to establishing an ideal test-day speed to maximize score. And one of the most important tools in making that transition–understanding to application–is a timer. Your timer should be a constant companion in your preparation this coming month. Practicing with it will allow you to continually monitor your speed as you strive to find the pace at which you move most comfortably and confidently through each section of the test, while working to push yourself to move faster while still maintaining that level of accuracy. And this applies to anything from a few questions, to a whole section, to an entire practice test. Let’s look a little more specifically at section-by-section pacing. 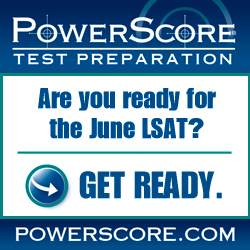 As you are probably aware, the LSAT contains four scored sections, each of which is 35 minutes in length. For the Logical Reasoning sections, which contain approximately 24-26 questions, you will have about 1 minute and 25 seconds for each question. The Logic Games and Reading Comprehension sections are divided into four parts (either by game or passage set, respectively), allowing 8 minutes and 45 seconds to complete each of the four elements. Granted, those are averages that will vary somewhat on a complete test, and they’re guidelines for people intending to finish all questions/games/passages in the allotted time, but they also provide a great benchmark to shoot for as you work to achieve the highest score possible. Although LSAC regulations prohibit the use of digital timers during the actual LSAT administration (analog watches are now the only acceptable form of time-keeping on test day), constantly using a timer as your prepare is still the best (arguably the only) way to ensure you develop the proper pace prior to the exam. So whether taking a timed practice test or simply working through a handful of questions, keep an eye on the clock so that you build not only familiarity with the test, but also the speed required to reach your full potential. This post was taken in part from the LSAT Free Help Area on our website. Want to get even more free LSAT help? Check it out! Photo: “Stopwatch” courtesy of William Warby.